Mobiped supports public and private actors willing to develop ecomobility: "demobility", walking, bicycle, public transport and car sharing. We are certified auditor of European quality management systems (BYPAD, ISEMOA and ADVANCE) and use universal design standards. Mobiped supports organisations welcoming visitors and willing to improve their attractivity and to gain time. We define, design and update personalized content of their 'Way Finding - Access - Visit us - Practical Information" sections. 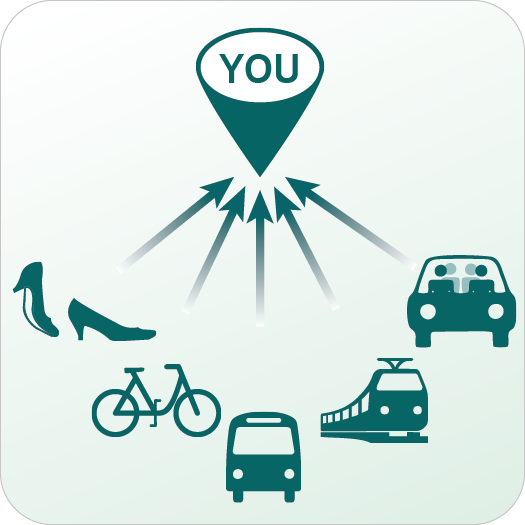 Mobiped enlightens decision making of the project/service/product manager about development toward more sustainable mobility. We listen to your needs, give structure to shared thoughts, provide guidance, bring innovating ideas and create communication tools. Design for All Foundation: TOP 5 best international Practises of Universal Design for our service "Design of way-finding information for organisation receiving public"